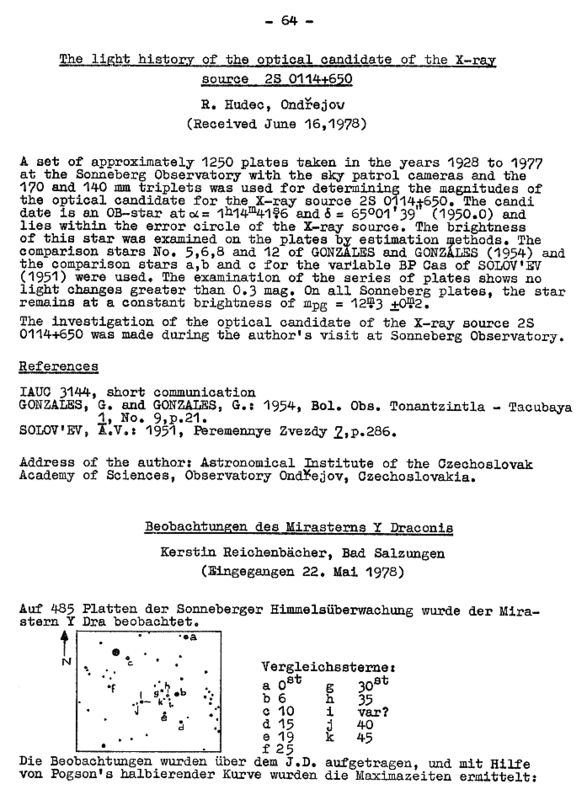 1 Otero, Sebastian Alberto The Vmax= 6.24 in the GCVS coming from Evans (1970) is probably a typo for V= 8.24 because contemporaneous AAVSO visual data at JD 2439922 show the star around v= 8.5. 2 GCVS Team According to visual observations, 7.8m - 15.0m. 5 General Catalogue of Variable Stars, 4th Edition, Volumes I-III, P.N. 3 Otero, Sebastian Alberto 2014-03-03 00:53 UTC Range from AAVSO data. UCAC4 position.